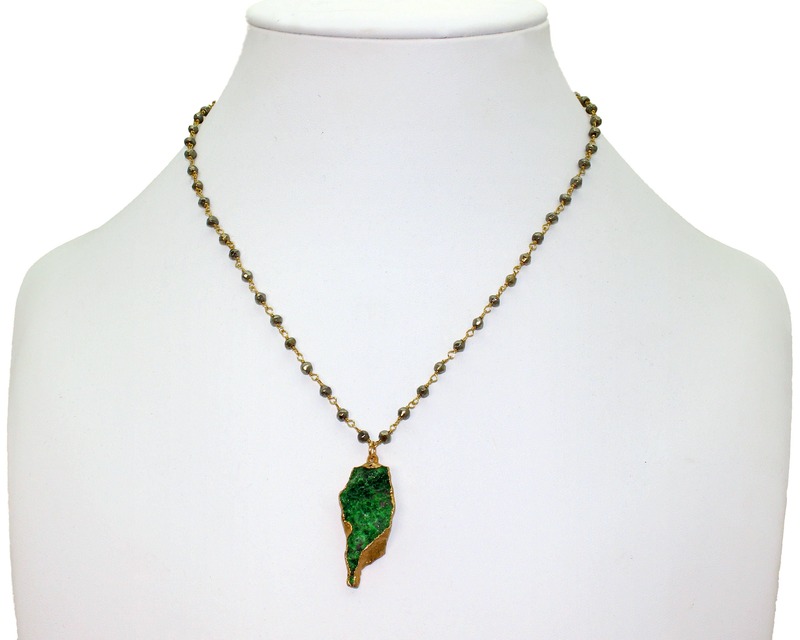 Uvarovite Druzy Necklace. One of a kind necklace. OOAK. Rare Green Uvarovite. Gold Dipped, Geode jewelry. Pyrite Chain. 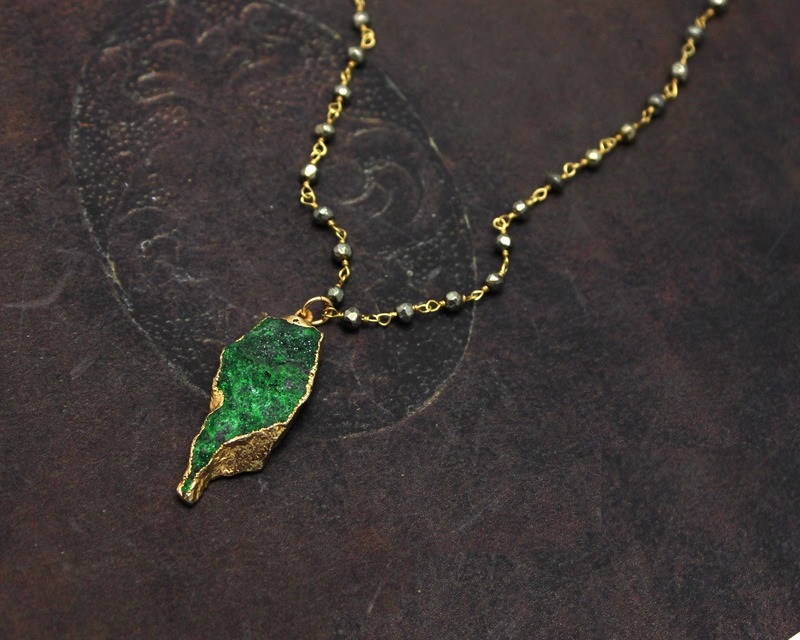 24k gold dipped Rare Uvarovite Druzy on a wire wrapped natural pyrite chain in gold vermeil. (18k gold over sterling silver) This is one of a kind. You will get the necklace in the picture. You will get the exact druzy pictured, but I can make the chain a custom length for you. If I don't hear from you, it will be 17 inches.